100 pages in any single order, and 7t per page for each page over 100 pages. 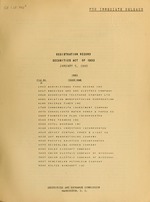 RECORD, OF T OA D00 00 00 IN . SE ND E NT FILED ,1 D .
BY A V AVIA I 0 rd ut L.
DATE OFFEIN S TATI- 0 0 Si ....IT.